As enterprises strategize and execute their digital business transformation, security and control are crucial to success. Encryption key management is an effective control and plays a critical role. However, compounding factors like using Software as a Service and deploying multicloud architectures create additional data security challenges. 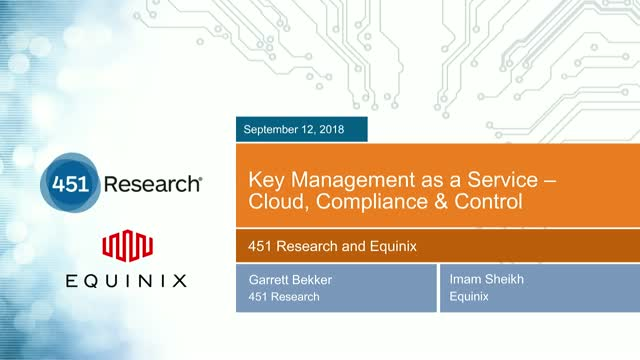 451 Research Analyst Garret Bekker and Equinix’s Imam Sheikh will discuss how cloud, compliance and total key control impact encryption key management, especially as enterprises embark on digital transformation journeys to drive competitive advantage.